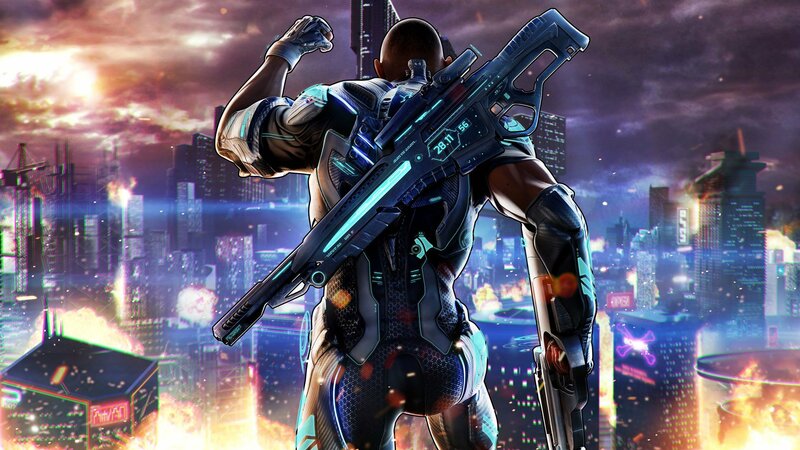 X018 kicked off with a bang by giving series fans fresh look at Crackdown 3's new Wrecking Zone multiplayer mode. Crackdown 3 was among the handful of games slated to make an appearance at the latest X018 streaming live from the heart of Mexico City. Now that the stream is underway, we've got some fresh new details for series fans. Not only do we now know that Crackdown 3 will be making its worldwide Xbox Game Pass launch this coming February, we also got our first look at the game's brand new Wrecking Zone multiplayer mode. Wrecking Zone is a five-on-five, player-versus-player gameplay mode that sees two teams duke it out in highly destructible battle arenas. Joseph Staten, senior creative director for Microsoft Studios, went live on-stream to provide a general feel for Wrecking Zone, and fans on-site at Xbox FanFest: Mexico City will be able to get their hands on the multiplayer action throughout the course of the weekend. Check out a clip of the Wrecking Zone action in the trailer below. Crackddown 3 will be launching on Xbox Game Pass on February 15, 2019. It'll be an Xbox Play Anywhere title as well as an Xbox One X enhanced title, and will support cross-play between Xbox One and Windows 10. As a little cherry on top of all these announcements, Xbox One players are now able to download the original Crackdown entirely for free. It's something of a little thank-you to dedicated series fans, and it's available for download right now through Microsoft Store.